Between holiday gifts, plane and train tickets, gas money and a ticket to that fancy NYE ball, it’s no surprise we’re left with just a few cents to our name come New Year’s. But don’t think that means you can’t rock some stellar new pumps to match your party dress. 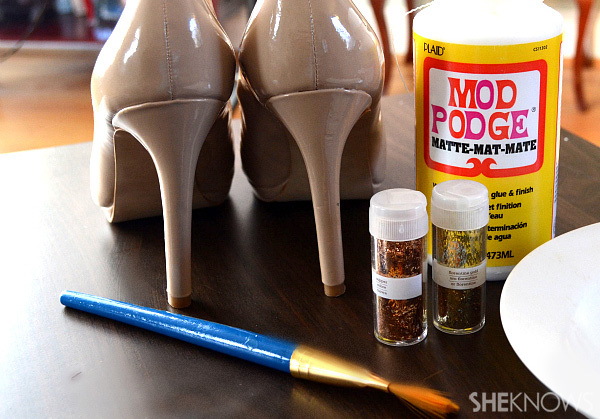 With this super easy and cheap DIY, you can turn tired old shoes into sparkling new ones just in time for New Year’s! For less than $5, you can have sparkly new shoes that are perfect for that office holiday party, your NYE bash or just date night with the hubby. Plus, you can customize the color of glitter to match your shoes or, if you’re feeling ambitious, cover your entire shoe in glitter! 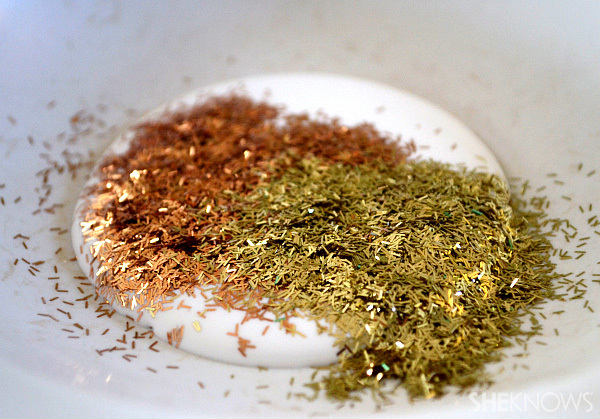 Pour about 2 tablespoons of glue and 1/2 of your glitter into a shallow bowl. Since we had two gold colors, we mixed them for added sparkle. 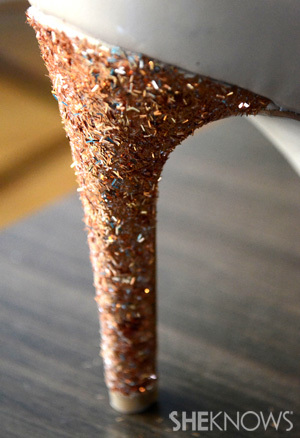 Using your paintbrush, paint about two coats of the glitter glue onto the heels of your shoes. 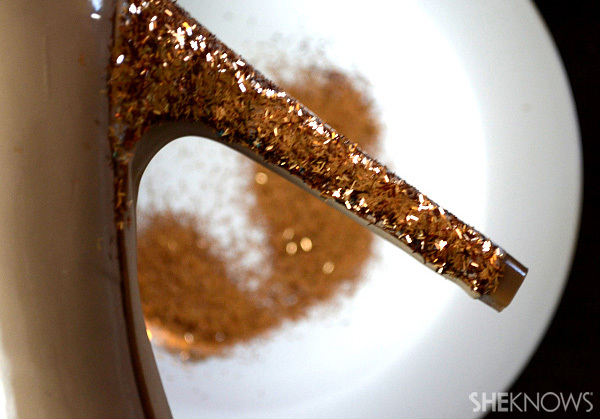 Place your glued heel over a bowl and add dry glitter to it to liberally cover the glue. 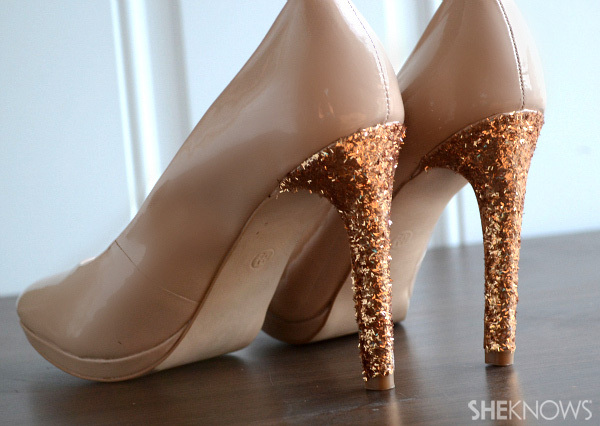 Once heels have been glittered, let dry overnight. Then wear!